The good young Kings beat the good young Mavericks on Sunday, in Luka Dončić’s first career regular season game against the team that unexpectedly passed on drafting him with the second overall pick back in June. Dončić had 28 points on 15 shots and was excellent; Marvin Bagley III, whom the Kings selected ahead of Dončić, was held out while he recovers from a bone bruise in his knee. It’s not an especially spicy comment. Dončić is real good, and any team would be thrilled to have him, and if there were pre-draft concerns about his athletic upside, surely those have started to wane now that he’s putting together such a sparkling rookie season. Bagley has also been pretty good—in plenty of years the season he’s having would put him in Rookie of the Year conversations—but “unfortunately for us” can be read to mean that Joerger thinks the Kings blew it by not drafting Dončić when they had the chance. That’s especially worth noting in the wake of reports that there’s a pretty significant rift between Joerger and members of Sacramento’s front office. Feels appropriate to point out, here, that Westbrook and Durant have won two MVP awards and five combined scoring titles. Maybe cool it a little, coach! This is like the NBA head coaching version of one of those catastrophic pilot induced oscillation sequences. 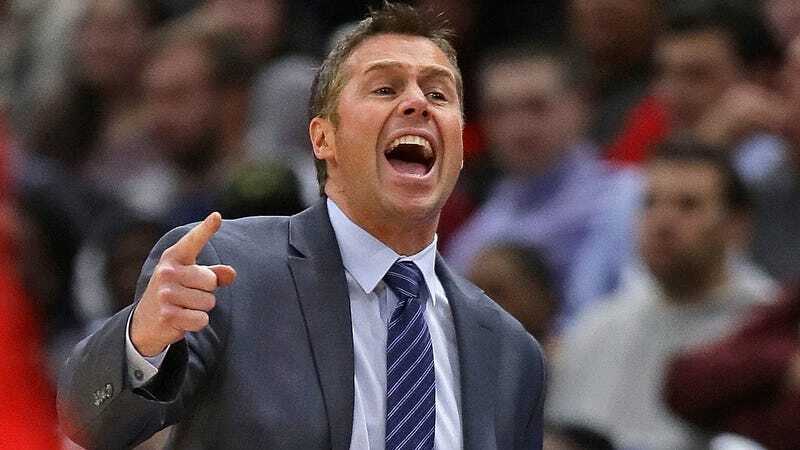 The next phases of this overcorrection cycle involve Joerger describing how much he personally hates Bagley and thinks he’s a piece of crap, and then singing “Unchained Melody” to Bagley over the public address system during a timeout in a January game. This pattern ends with Joerger in prison and the Kings somehow in the ownership of a Chinese mining outfit. Tragic.